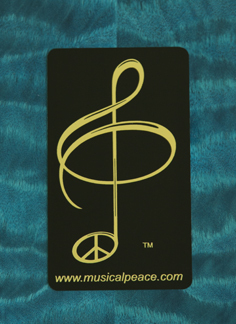 THE GOODIES HERE ARE ALL OF HIGH QUALITY AND HAVE THE MUSICALPEACE SYMBOL ON THEM. 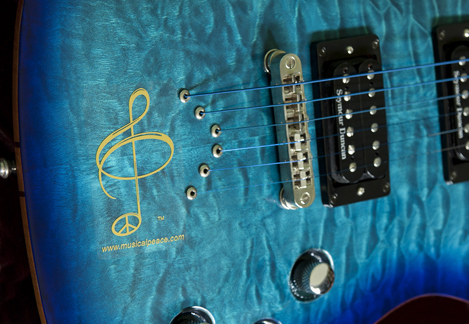 HOPEFULLY, GETTING THIS SYMBOL OUT THERE WILL HELP TO ENCOURAGE A HARMONIOUS EXISTENCE FOR ALL. WHY NOT ENJOY GOOD MUSIC AND EACH OTHER ? DETAILS FOR EACH OF THE ITEMS BELOW CAN BE VIEWED BY CLICKING ON THE NAMES OF THE ITEMS. HOPEFULLY, YOU’LL UNDERSTAND THAT BECAUSE THIS IS A LITTLE ONE-PONY SHOW, NOT EVERY STYLE/SIZE/COLOR WILL ALWAYS BE AVAILABLE. IF YOU SEE SOMETHING THAT YOU’D LIKE TO HAVE, PLEASE e-MAIL TO CHECK AVAILABILITY. PRICES INCLUDE SHIPPING IN THE CONTIGUOUS U.S. INTERNATIONAL SHIPMENTS REQUIRE AN ADDITIONAL CHARGE. YOU CAN CUSTOMIZE CLOTHING ORDERS BY ADDING GRAPHICS OF YOUR CHOICE LIKE ARTWORK, PICTURES, QUOTATIONS, THE NAME OF YOUR BAND, EVENT, SCHOOL OR ORGANIZATION, ETC. MANY STYLE, COLOR AND SIZE OPTIONS ARE AVAILABLE. 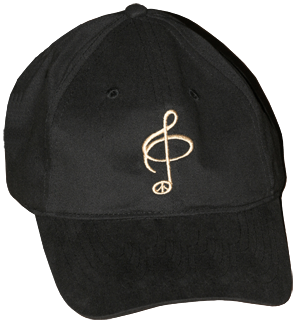 BOTH CUSTOM EMBROIDERING AND CUSTOM SCREEN-PRINTING ARE AVAILABLE. MINIMUM QUANTITIES ARE REQUIRED FOR CUSTOMIZATION. IN ADDITION TO CLOTHING AND TAGUA, ALL SORTS OF OTHER THINGS ARE AVAILABLE, BUT DO REQUIRE ORDERING IN SUFFICIENT QUANTITIES. PAYMENT CAN BE MADE THROUGH PAYPAL OR BY CHECK OR MONEY ORDER. IF YOU PAY BY CHECK, PLEASE MAKE IT PAYABLE TO ARTISTIC INGENUITY, AND ALLOW TIME FOR IT TO CLEAR.